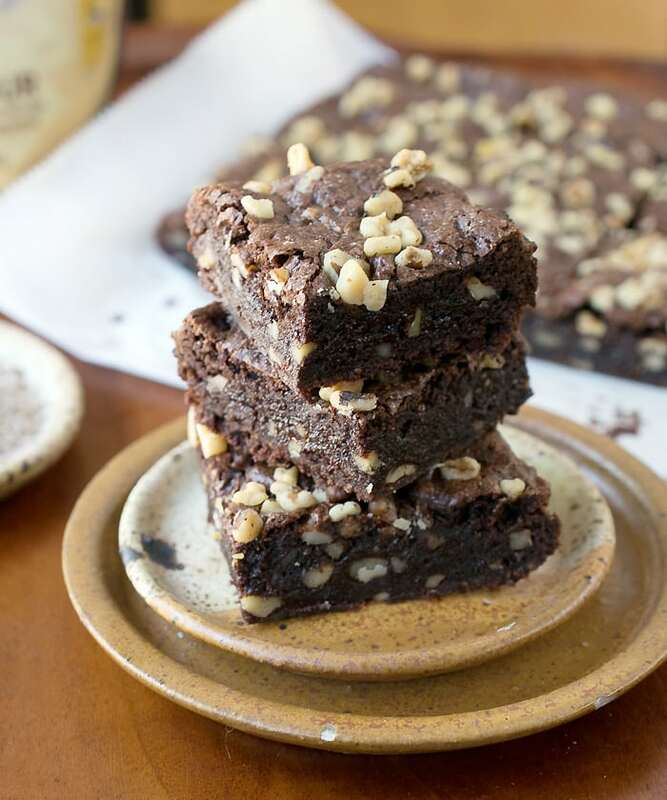 Home » Dessert » The Best Gluten-Free Vegan Brownies Made With a Surprise 1-Ingredient Flour! 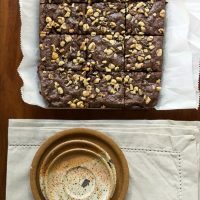 The Best Gluten-Free Vegan Brownies Made With a Surprise 1-Ingredient Flour! Everyone loves brownies, right? They are Cheryl’s favorite dessert and she has been asking me to make her some with walnuts for ages. My new gluten-free vegan brownie recipe has her seal of approval. She never suspected that they were gluten-free! 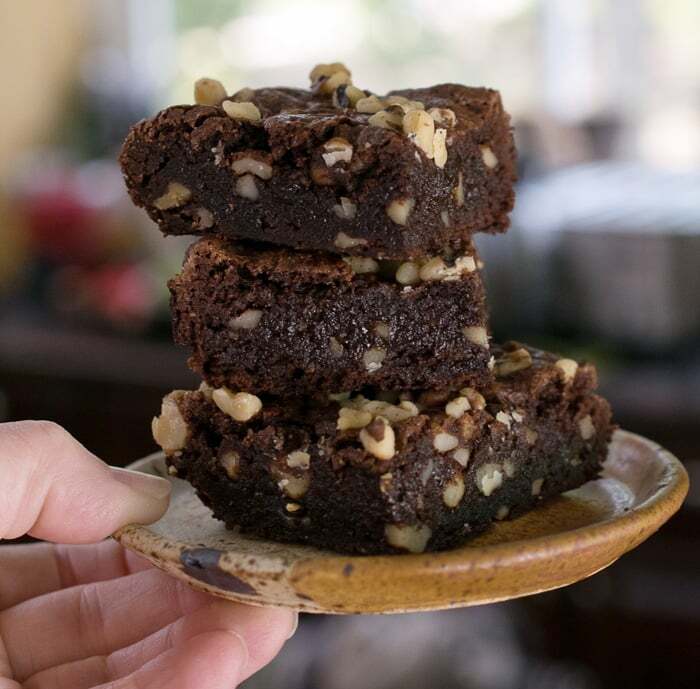 I was amazed at how well the teff flour worked in these brownies. They turned out fudgy and moist in the middle and slightly crispy on top, just the way I like them. You really can’t tell these moist brownies are gluten-free. What is teff? It’s a tiny whole grain that originates from Ethiopia. If you’ve ever had Ethiopian food, you ate teff in the spongy sourdough flatbread called injera. While teff is used in the bread, it’s the fermentation process that gives it the traditional sour taste. You won’t find any of that in these brownies or other baked goods made with teff flour. I think the fine grind of the teff flour really makes it easy to bake with. It doesn’t have the bits of bran that you expect from whole wheat flour. It feels a little like extra-fine ground cornmeal. There are 2 kinds of teff: ivory and brown. The brown has a flavor that’s a little earthy and nutty. It’s perfect for anything chocolate. The ivory has a milder taste, and I can’t wait to experiment with it next. Next on my list is teff waffles. and I want to try it in some biscuits too! Read more about teff’s nutritional benefits on Maslal Teff’s site. Everyone loves brownies, right? They are Cheryl’s favorite dessert and she has been asking me to make her some with walnuts for ages. My new gluten-free vegan brownie recipe has her seal of approval. She never suspected that they were gluten-free! 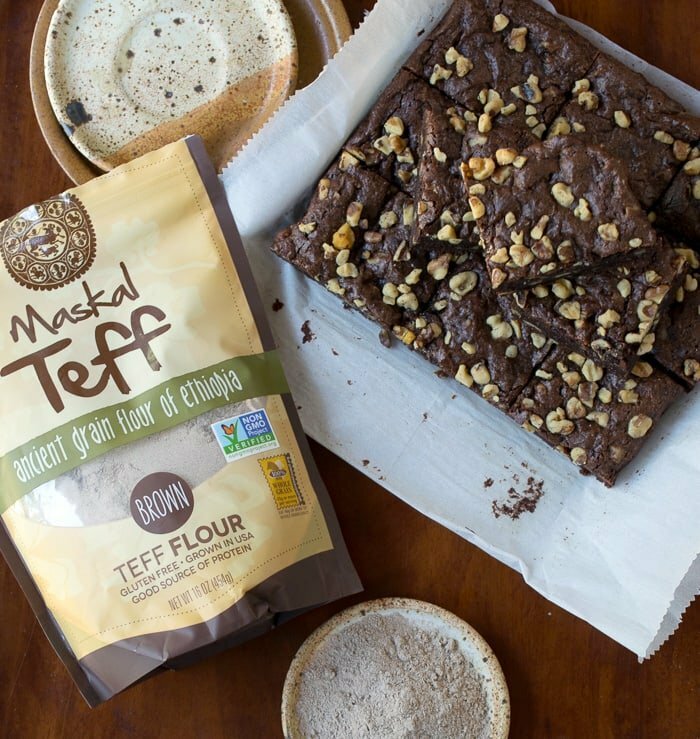 You will love cooking with Maskal Teff™ gluten-free flour. Preheat the oven to 350 degrees. Oil an 8 x 8 inch brownie pan and/or line with parchment paper. Mix the wet ingredients together in a medium-sized mixing bowl. Then mix the dry ingredients in a small mixing bowl. Add the dry to the wet and mix well. The batter will be very thick.Then add the walnuts and stir in. Scrape the batter out into your prepared pan and spread evenly. Sprinkle the additional ¼ cup walnuts over the top and press in with your hands. ** Use another mild oil instead of avocado oil or use mashed avocado to make them no oil added. Nutrition information is provided from nutritionix.com as a close estimate. If you have specific health issues please put the recipe information, including the exact ingredients you use, into the nutritional calculator your Dr. recommends. « Cooling Vegan Meals You Make Ahead and Eat From the Fridge! Could whole wheat pastry flour be substitued for the teff? They look delicious! Thanks for this! I’ve been looking for more recipes with teff because I have low iron and want to add more iron-rich plant-based foods to my diet. 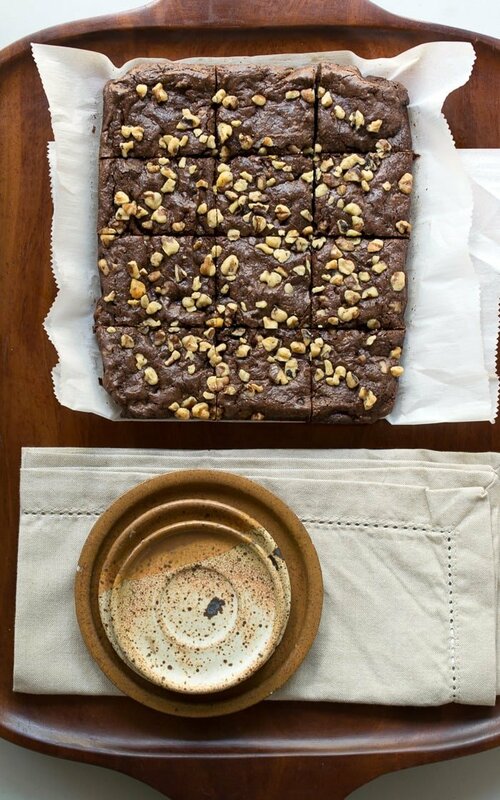 Of course I can’t eat teff brownies all the time for that, but it would be a nice treat! These brownies look like INSANE CROWD PLEASERS!!! Wow, Kathy! These look absolutely scrumptious! 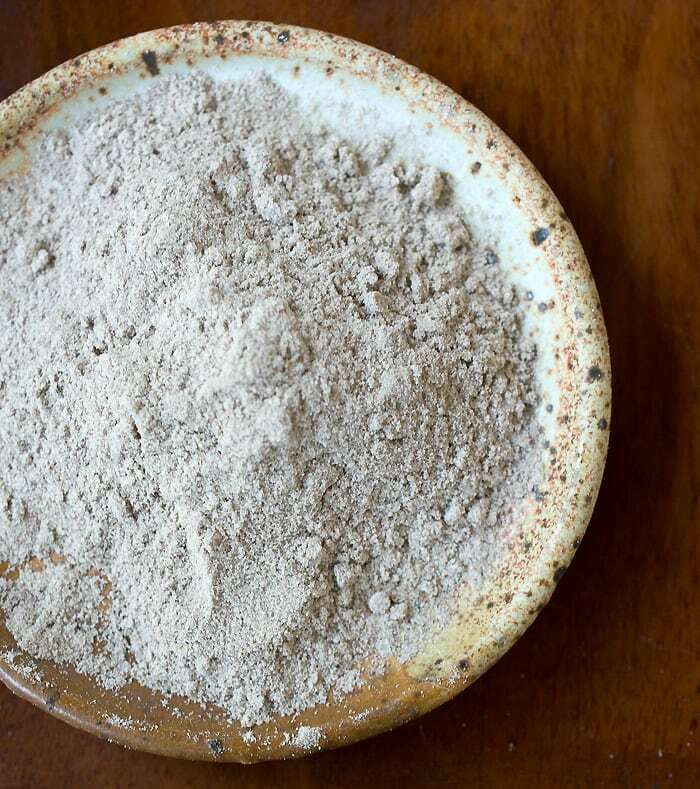 Teff is one gluten-free flour that I haven’t gotten around to experimenting with. These brownies look like great incentive to get on that! You are so welcome! I just made another batch of these last night. What a clever way to use Teff . These yummy looking brownies are calling out my name . Pinning it right away! I made this recipe several times, it always dissapears in one sitting… my guests love it! Is the nutritional information posted with this recipe? I couldn’t find them and would be very interested. Thank you Kathy! Cannot wait to try this recipe!!! It’s not here. Once I move all the recipes over to a new plug-in they should get added. For now, you can add it in at sparkrecipes.com. Plus it’s more accurate when you add in exactly the ingredients you use. Made these brownies for a family gathering, I am vegan and my mother is gluten-free. Everyone absolutely loved them (including non-vegans). Wonderful recipe! !